New Delhi, Nov 30 : Assam government has launched a special drive to seize illegal arms allegedly being kept by different groups in some areas, including Bodoland Territorial Council (BTC). “It is a fact that there are illegal arms in Assam. Not only in BTC areas but in other areas also. 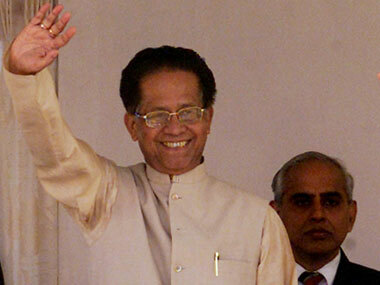 Many groups are keeping illegal arms,” Chief Minister Tarun Gogoi said at a press conference here. for many deaths in recent clashes between Bodos and immigrant Muslims. Gogoi also said “certain forces” were instigating both Bodos and the immigrant Muslims and creating tension between the two communities. He said out of nearly five lakh people affected in the recent violence, who stayed in relief camps, most of them have return home and only 37,000 were still staying in the camps now. The Chief Minister also denied involvement of any Bangladeshi national in recent clashes saying his government was not protecting any foreign national.